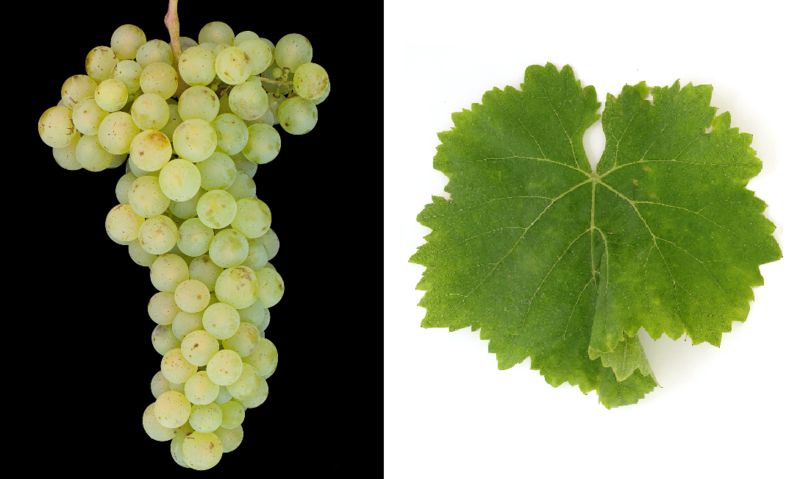 The white grape variety (also Alzey S 3962) is a new breed between white Elbling ( Elbling x Muscat Précoce de Saumur published according to 2012 DNA analysis, The maternity indicated in the breeding list of Chasselas it turned out to be wrong. The crossing took place in 1927 by Georg Shy (1879-1949) at the State Institute Alzey (Rheinhessen), the variety protection was granted in 1969. It was named after the Rebschul- and Weingutsbesitzer Fritz Huxel (1892-1972), who strove for cultivation and propagation. The early-ripening, very productive vine is resistant to both mildews but sensitive to frost and prone to Botrytis, It produces acidic white wines with diverse aromas of apricots, honey, spices and musk, Due to the sugar-rich berries it is often used for sweet predicate wines. There are stocks in Germany (613 ha) and England (17 ha) with a downward trend. In 2010, a total vineyard area of 630 hectares was reported (Statistics Kym Anderson ). This page was last modified at 5 February 2019 at 06:49.